You never know when you are going to need a competent automotive locksmith in Surrey. Automobile ignitions go bad and keys get broke off in ignitions. Accidents happen! In addition, you never know when you might lock your keys in the vehicle and need emergency assistance to get the door opened. Sometimes a key gets lost and you simply need to get it replaced as quickly as possible. We are the auto locksmith to call for all your auto lock and key requirements. We are proud to be the car locksmith the people of Surrey, BC turn to when they lock their keys in their vehicles. If you have ever locked your keys in the car, you know how embarrassing and frustrating it can be. It can be downright frightening if you do so late at night in an area of town you are not too familiar with. The only thing on your mind is how fast you can get someone to respond and solve your problem. Our car lockout specialist responds rapidly to open locked doors 24/7. At Locksmith Surrey, we offer outstanding service in a friendly and effective manner. We place a lot of emphasis on speed of service, but our number one priority is quality. Our technicians are trained to provide quality results, using quality brand name products. 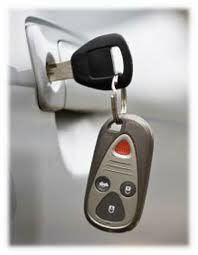 We provide excellent ignition key replacement options for just about any type of car. Our professionals will also change out auto ignitions and replace faulty door locks. We suggest that you place our phone number on speed dial because you simply cannot know when you will require the services of our Surrey Automotive Locksmith. You can depend on us to respond with urgency to provide an auto locks change or to help you open your locked car door. We treat every service with the same focus and precision attention to detail. Give us a call today.